Want to know where to get B12 shots? Interested in the best way to purchase your supplement supplies? Nervous about identifying a reliable vendor? Have no fear—we can help you out! Vitamin B12 injections require a prescription. Fortunately, fulfilling that requirement isn’t as tricky as it sounds. A trained physician (like the ones we have on staff) will review your medical history. Since vitamin injections can’t be taken if certain health conditions are present—like pregnancy, diabetes, high blood pressure, etc.—we’ll take a careful look at your individual condition. We’ll also check to make sure your current medications won’t negatively interact with your vitamin supplement of choice. Once you’ve been cleared, you’ll be able to buy B12 shots! Not all vitamin suppliers are created equally; you’ll want to choose one that has your best interests in mind. If you’re wondering where to get B12 shots, perhaps the best answer to your question is: who has the safest products? Choose a company that is owned and operated by medical professionals. You’ll want to work with people who are truly qualified to attend to your nutritional needs. Also, you’ll want to buy from a US-based pharmacy. US companies must abide by local rules and regulations. Ordering from an overseas provider might secure lower prices, but the products won’t necessarily be as safe as you’d hope. Our vitamin injections were formulated by the nation’s best health professionals—including doctors, pharmacists, and chemists. Before you started pondering whether or not you should buy B12 shots, you asked the question, what do B12 shots do? You probably also know that these benefits can be enhanced by other nutrients. Sometimes, combining vitamin B12 with other vitamins and minerals can greatly increase the efficiency. Therefore, when are ready to buy B12 shots, consider buying from a company that offers a wide variety of products. For example, we have several B12 products available in our online store. We sell B12 individually or in combination with other nutrients. 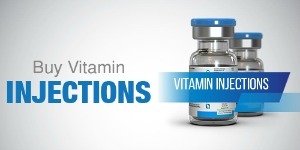 Plus, we offer a full range of additional vitamin injection products. If you are ready to buy B12 shots—or even if you are still considering the decision—head over to our online store. Take a look at the products we have available.